Signed by D-backs as a Minor League free agent (July 3, 2013)...He and his wife, Jordan, welcomed their first child, Sofia, on Aug. 14, 2017, also David's 30th birthday...Has a cat named Maximus…named after a character from his favorite movie, "Gladiator." Earned his first Louisville Slugger® Silver Slugger Award™ after setting career highs in hits (164), home runs (30), RBI (87) and walks (48)... Ranked among NL outfielders in home runs (4th, 30), OBP (4th, .518), RBI (5th, 86), OPS (6th, .869) and average (8th, .292) [stats as OF only]...Was the sixth D-backs outfielder to reach the 30-homer milestone (stats at OF only) along with Luis Gonzalez (2000-01), Steve Finley (1999-2000), Reggie Sanders (2001), Chris Young (2007) and Justin Upton (2011)...His 6 games of 4+ hits set a single-season club record and tied for second in the Majors with Giancarlo Stanton/NYY behind Mookie Betts/BOS (7)...Reached base in a career-high 25 consecutive games from Sept. 18, 2017-April 20, 2018...Hit his first walk-off homer on Aug. 6 vs. Phillies, a solo shot in the 14th inning (second walk-off plate appearance: walk on Sept. 27, 2017 vs. Giants). Hit .293 AVG/.352 OBP/.444 SLG with 31 doubles, 14 home runs and 57 RBI in 140 games for Arizona in 2017...set career highs in runs (82) and doubles...His 17 games of 3+ hits were tied for seventh in the NL...his 4 games of 4+ hits were tied for second in the NL with Bryce Harper and Ender Inciarte (5; DJ LeMahieu)...Hit .302/.357 OBP/.468 SLG with 27 doubles, 12 home runs and 44 RBI vs. right-handers...Batted .323 with 37 extra-base hits, 36 RBI & 26 walks in D-backs wins...Named the D-backs' 2017 Marvin Miller Man of the Year. POSTSEASON: Batted .222 with 1 walk and 2 runs in 4 games. Limited to 48 games due to 3 stints on the disabled list…hit .251 (43-for-171) with 9 doubles, 5 triples, 4 homers and 15 RBI...On the 15-day disabled list from May 15-June 6 (right wrist infl ammation), June 20-July 29 (lower back sprain) and Aug. 7-end of season (right wrist infl ammation)…underwent surgery to stabilize a tendon in his right wrist on Aug. 11 by Dr. Don Sheridan in Phoenix...Made 36 starts in right fi eld and 4 starts in center...Before being placed on the disabled list for the fi rst time on May 15, led the team in games (33) and triples (3), tied for the team lead in runs (18), ranked second in hits (32) and third in doubles (7) and extra-base hits (13)...Totaled a career-high 3 extra-base hits (2 doubles & 1 triple) on April 7 vs. Cubs. Hit .312 (144-for-462) with 26 doubles, 10 triples, 17 home runs and 78 RBI in his first full Major League season with Arizona...Is one of three D-backs with 10+ triples and 10+ home runs in a season, joining Steve Finley (1999, 2003) and Stephen Drew (2008-10)...was the only NL player to accomplish the feat in 2015...Ranked among NL leaders in triples (1st, 10), slugging pct. (sixth, .522), OPS (sixth, .893) and average (eighth, .312)...His .903 OPS was second to the Nationals' Bryce Harper (1.116) for NL outfielders...Compiled a .991 fielding pct. (2 E in 232 TC) in left field, second best in the NL behind the Pirates' Starling Marte (.995)...Finished second on the team and 12th in the NL in win probability added (3.49) [source: fangraphs.com]...His .360 average (80-for-222) after the All-Star Break ranked second by a D-back all-time and was third in the NL in 2015...Batted .349 (61-for-175) with two outs, the fourth-best NL average... only the Marlins' Dee Gordon (.417), Giants' Buster Posey (.377) and Paul Goldschmidt (.355) were better....also was third in the NL with a .400 average (28-for-70) with runners in scoring position/two outs behind the Giants' Nori Aoki (.472) and Brewers' Adam Lind (.426)...Reached base safely in a career-high 20 consecutive games from June 23-July 18 (.338; 25-for-74)...Set a career-high and tied a club record (19th time) with five hits on Aug. 9 vs. Reds...Had a RBI in a career-high five consecutive games from Aug. 7-11 (10 total)...Boasted a career-high 13-game hitting streak from Sept. 1-16 (.306; 15-for-49). Hit .286 (94-for-329) with 12 doubles, 9 triples, 8 home runs and 36 RBI in 88 games in his first Major League season with the D-backs...Selected as the D-backs' Rookie of Year by the Arizona Chapter of the BBWAA...Ranked among NL rookies in slugging percentage (1st, .450), OPS (1st, .770), triples (1st), average (2nd), multi-hit games (2nd, 30), extra-base hits (T-3rd, 29), hits (4th), RBI (4th) and total bases (5th, 148)...His 9 triples ranked second on the club's all-time rookie leaderboard, behind David Dellucci's 12 in 1998…were the most since Bryce Harper in 2012 (also 9)...Played in 40 games in right field, 36 in left and 14 in center, combining for 6 outfield assists...Recorded his first Major League hit on June 1 vs. Reds (single off Alfredo Simon) after having his contract selected from Double-A Mobile earlier in the day...Became sixth D-back with a multi-hit game in his debut and first since Adam Eaton on Sept. 4, 2012 @ Giants...Recorded a hit in his first 7 games, the longest hit streak by a D-back to start his Major League career...Hit his first homer on June 8 vs. Braves (off Aaron Harang)...Steal of home on Aug. 8 vs. Rockies marked the sixth D-back to do so (last: Chris Young on Aug. 19, 2007 @ Braves)...Hit first grand slam on Aug. 9 vs. Rockies…also became the first D-backs rookie with at least 5 RBI in a game since Mark Reynolds on Aug. 30, 2007 (also 5)...Season-high 9-game hitting streak from June 29-July 9 (.429; 15-for-35)…batted .314 (27-for-86) in July, the second highest average among all rookies (.374 by Jose Abreu)...Did not play from Sept. 6-18 due to back discomfort...Visited the MLB Urban Youth Academy in Compton, Calif. on June 14...Hit .297 (60-for-202) with 6 home runs and 46 RBI in 53 games with Mobile…at the time of his promotion, ranked among SL leaders in doubles (T-1st, 17), RBI (T-1st), total bases (3rd), hits (4th), runs (4th), extra-base hits (5th, 24)...Appeared in 55 games with Margaritea in the Venezuelan Winter League and batted .319 (67-for-210) with 14 doubles, 2 home runs and 32 RBI…tied for fourth in the league in doubles and tied for ninth in RBI and hits. Played in 51 games with Single-A Visalia and hit .346 (72-for-208) with 15 doubles, 8 home runs and 42 RBI…signed by Arizona as a Minor League free agent on July 3...Ranked among Single-A players from July 3-end of the season in average (8th) and RBI (12th)...Began the season with Amarillo in the independent American Association and batted .352 (64-for-182) with 8 home runs and 38 RBI. Played with Wichita of the IAA, and hit .332 (125-for-377) with 30 doubles, 3 homers, 70 RBI and 25 stolen bases. Hit .392 (133-for-339) with 30 doubles, 5 triples, 17 home runs and 81 RBI in 85 games with Rio Grande Valley in the independent North American Baseball League....Made 1 relief appearance (0 ER in 1.0 IP). Began the season in St. Louis' organization but was released on May 5. Missed the entire season following his second surgery on his left shoulder. Appeared in 15 games (8 starts) with Short-Season A Johnson City and went 1-5 with a 5.81 ERA (34 ER in 52.2 IP) and 56 strikeouts. Was 1-1 with a 5.00 ERA (5 ER in 9.0 IP) in 3 games (2 starts) with Johnson City...Placed on the 15-day DL on July 20 after undergoing left shoulder surgery and missed the remainder of the season. Made his professional debut with Dominican Summer League Cardinals, going 3-2 with a 2.70 ERA (12 ER in 40.0 IP) in 9 games (8 starts). August 17, 2017 Arizona Diamondbacks activated LF David Peralta from the paternity list. August 14, 2017 Arizona Diamondbacks placed RF David Peralta on the paternity list. November 3, 2016 Arizona Diamondbacks activated RF David Peralta from the 60-day disabled list. August 26, 2016 Arizona Diamondbacks transferred RF David Peralta from the 15-day disabled list to the 60-day disabled list. Right wrist inflamation. August 7, 2016 Arizona Diamondbacks placed RF David Peralta on the 15-day disabled list retroactive to August 6, 2016. Right wrist inflamation. July 29, 2016 Arizona Diamondbacks activated RF David Peralta from the 15-day disabled list. July 20, 2016 Arizona Diamondbacks sent RF David Peralta on a rehab assignment to Reno Aces. July 17, 2016 Arizona Diamondbacks sent RF David Peralta on a rehab assignment to Mobile BayBears. July 13, 2016 Arizona Diamondbacks sent RF David Peralta on a rehab assignment to AZL D-backs. June 6, 2016 Arizona Diamondbacks activated RF David Peralta. June 4, 2016 Arizona Diamondbacks sent RF David Peralta on a rehab assignment to Reno Aces. May 9, 2016 Arizona Diamondbacks placed RF David Peralta on the 15-day disabled list. 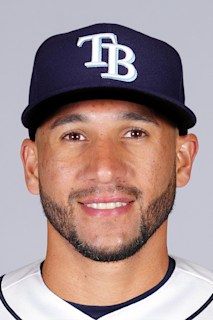 June 1, 2014 Arizona Diamondbacks selected the contract of LF David Peralta from Mobile BayBears. March 31, 2014 OF David Peralta assigned to Mobile BayBears from Visalia Rawhide. March 8, 2014 OF David Peralta assigned to Arizona Diamondbacks. July 3, 2013 OF David Peralta assigned to Visalia Rawhide. October 13, 2011 1B David Peralta assigned to Bravos de Margarita.